Back on January 1st of this year (2011), I updated my blog with a new design and HTML5 theme. There were a lot of changes I wanted to make to my custom WordPress plugin (which bundles in my custom theme with it) and I also wanted to make sure that apart from using semantic HTML5 markup, that my videos (and audio) played back without requiring a plugin. You can see my first article after the changes, "The 3 Dogs Trailer" to see the HTML5 video in action. links to categories, tags, how many comments, etc. Cindy’s comment in reply to Bob’s comment. Evelyn’s comment in reply to Daniel’s comment. Fred’s comment in reply to Evelyn’s reply to Daniel’s comment. Make sense? (I’m not suggesting you use these id’s for the comments – it’s only for illustration and clarity purposes that I’m doing it here.) Good. The next step was figuring out how to visually represent this to users (the design part). I frequently come across blogs where the comments are formatted/designed in such a way that you really have to struggle to figure out how to reply to another comment (and not just create a new parent comment). Other times, I see comments organized in such a way that it isn’t clear which comments are replying to other comments, and which comments are replying to the main article… Confusing! So I wanted to design the threaded comments on my blog in such a way that you could tell just by looking at it, and also in such a way that it would encourage people to actually reply to the appropriate comment and not just always create new parent comments if that’s not what was intended. You can have a look at my article on "La Doña Mexican Restaurant" to see an extensive example of these threaded comments in action. Only IE gets the left border from above. All other browsers use the background opacity. I think this makes it much easier for readers to see and understand threaded comments. 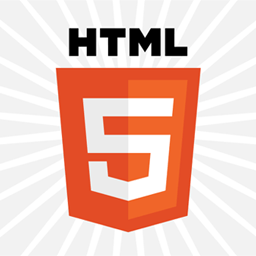 HTML5 Threaded Comments was published on Tuesday, March 8, 2011 at 11:36am EST by Daniel Menjívar and last updated on April 11, 2018 at 9:30pm UTC .